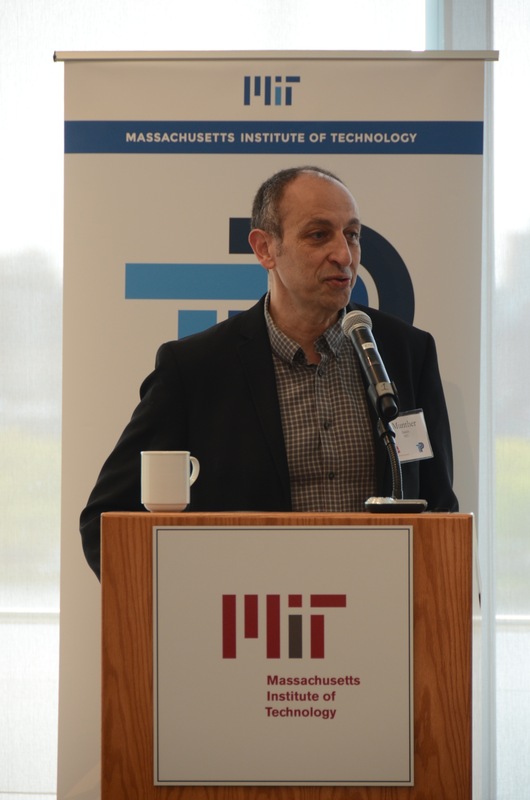 MIT Technology & Policy Program celebrated forty years with an event on May 20, bringing together TPP alumni and others from academia, government, and industry. The event was co-organized by TPP associate director Noelle Selin (Esther and Harold E. Edgerton Career Development Associate Professor, IDSS and EAPS) and Jessika Trancik (Atlantic Richfield Career Development Assistant Professor, Energy Studies). While TPP’s 30th anniversary event had focused on the rich history of the academic program, this event looked ahead to future opportunities and challenges. The day-long event included panels focused on topics such as innovation, regulation, development and sustainability, and conflict and cooperation. A number of TPP alumni and other experts provided perspectives from their experiences working at the intersection of technology and policy. IDSS director Munther Dahleh (William A. Coolidge Professor, Electrical Engineering and Computer Science) welcomed attendees, noting the importance of educating students “who are able to think about technology and policy at the same time.” Policies designed to reduce emissions or address privacy and security, for example, are directly connected to technology—and to work effectively in these areas, and others, one must be able to have a deep understanding of both the technology and policy, and how they interact. Dahleh explained that a core part of IDSS vision and mission is “addressing society as part of the loop in the system,” well-integrated with technology and policy, across a variety of sectors and domains. In a session on “Technology and Policy at MIT and Beyond,” panelists addressed the qualities that define research that integrates technology and policy. “We need to first ask: What are the real-world problems where the technical details matter? And then: How do you find the right methods—and invent new ones?” said Erica Fuchs, Professor, Engineering and Public Policy, Carnegie Mellon (TPP ’03, ESD PhD ’06). Drawing on expertise in a range of domains, panelists were able to speak to some of the specific challenges of their work. In a panel on technology and regulation, for example, Josephine Wolff, Assistant Professor of Public Policy, Rochester Institute of Technology (TPP ’12, PhD ’15 ) spoke about cybersecurity, and some of the current ambiguity around what is legal or illegal—such as the reality that there is no official agreement on whether it is legal to buy stolen data. Valerie Karplus, Assistant Professor of Global Economics and Management, MIT (TPP ’08, ESD PhD ’11) spoke about her work focused on wind power in China. She noted that that there are cases in which the laws around wind power can be too rigid, and that although governments may have the incentives to create wind farms, the utilization and outcomes might be limited because of the way the grid is operated. TPP, which is now among the academic programs of the MIT Institute for Data, Systems, and Society, offers the Master of Science in Technology and Policy. TPP aims to develop leaders who can create, refine, and implement policies that are informed not only by an understanding of technology, but also by social contexts.